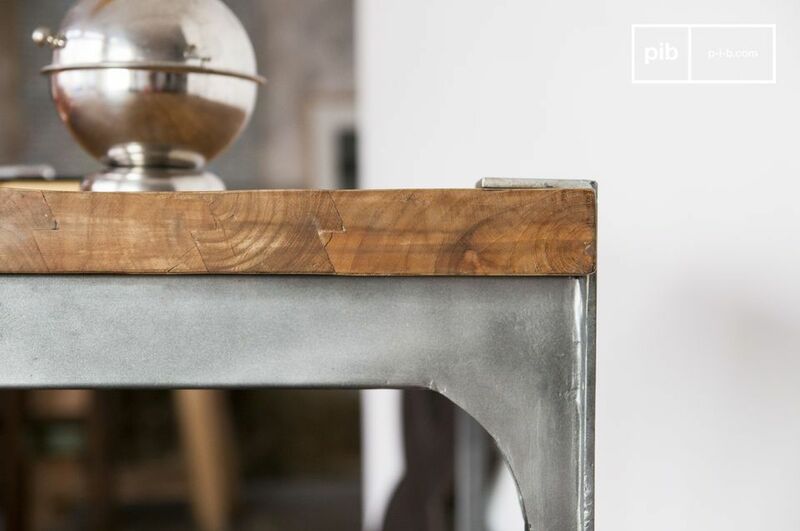 Opt for a high bar combining wood thick teak and steel for industrial spirit touch in your kitchen. 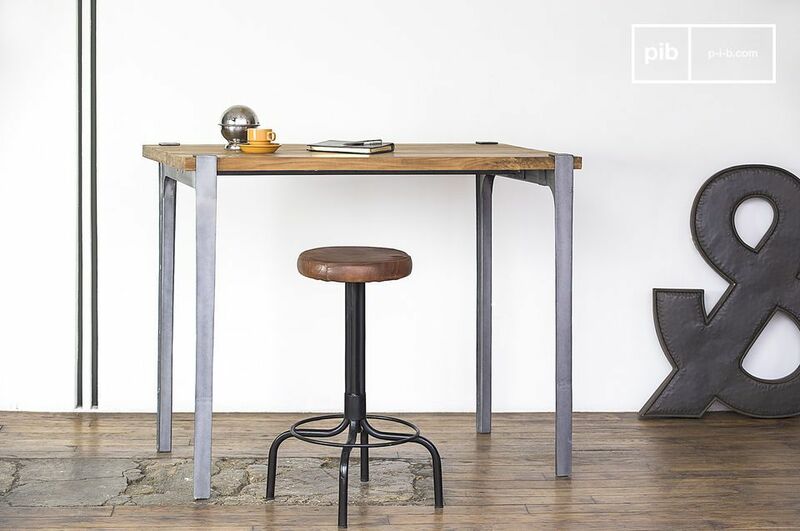 A high table that will fit into any interior styles, incorporating the stamp of furniture built to last. 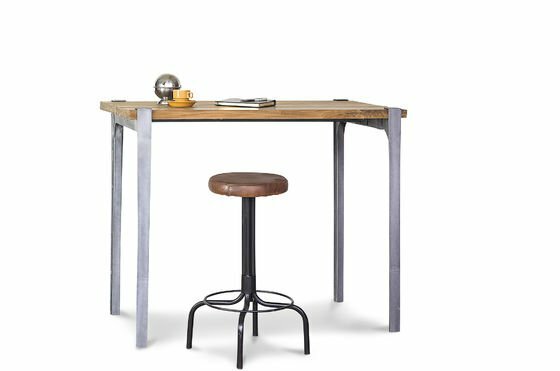 If the Wellington high bar is ideal for meals for 4 to 6 guests, its dimensions make for an excellent work table for those who like to work sometimes sitting on higher seats like wooden bar stools, sometimes standing. 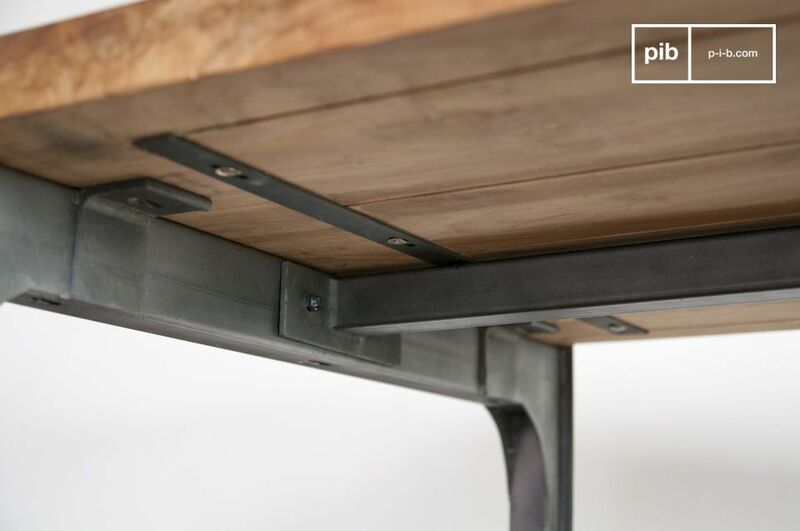 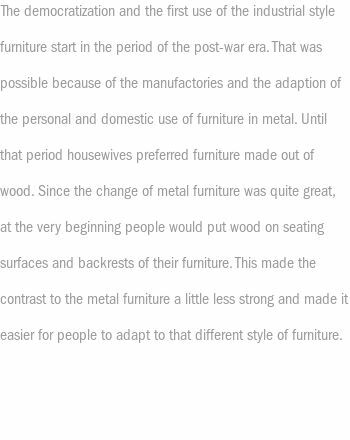 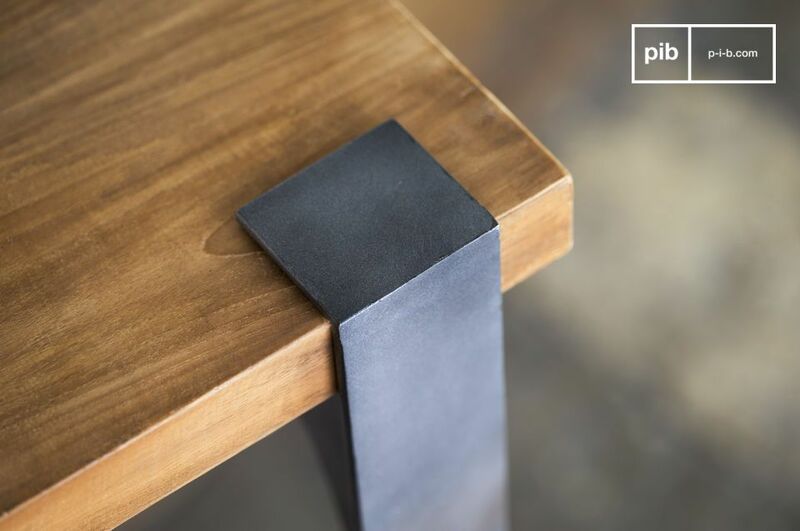 In addition to a remarkable finish, enjoy everyday an excellent stiffness provided by a longitudinal cross beneath the tray table, and wood treatment which allows for easy maintenance of the high bar table.